Only a handful known to exist. This must be one of the very best surviving examples. 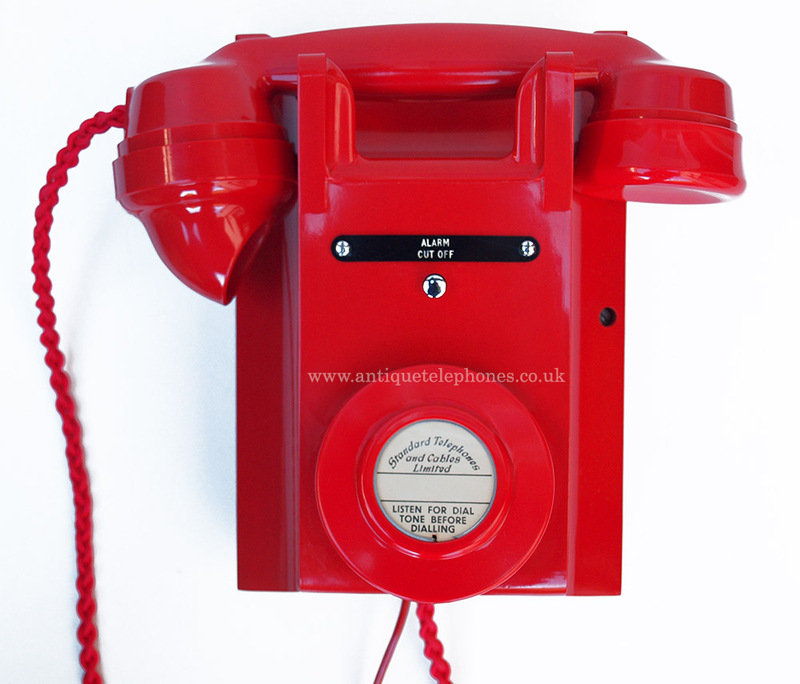 This is a very rare telephone and probably only a handful known in the world. 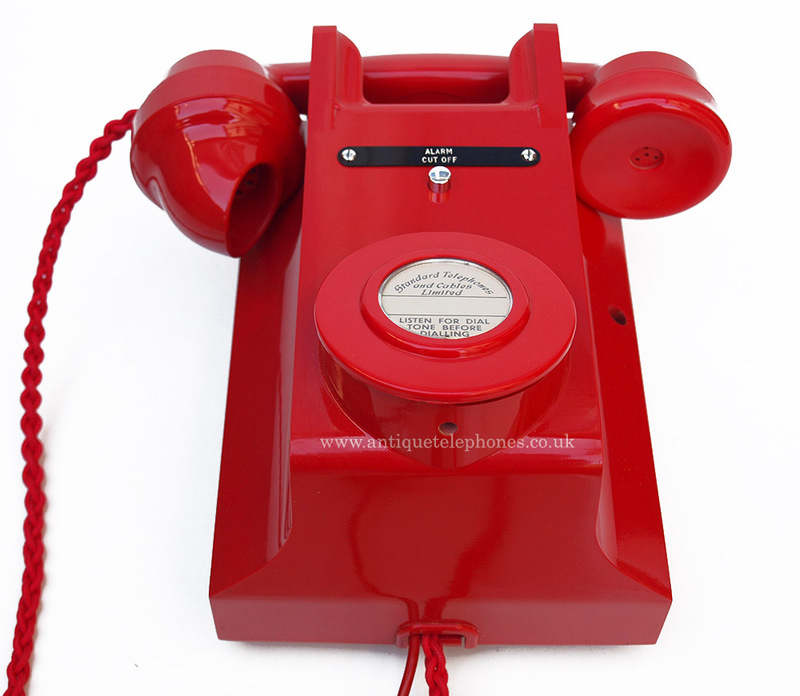 This was made for standard telephones. 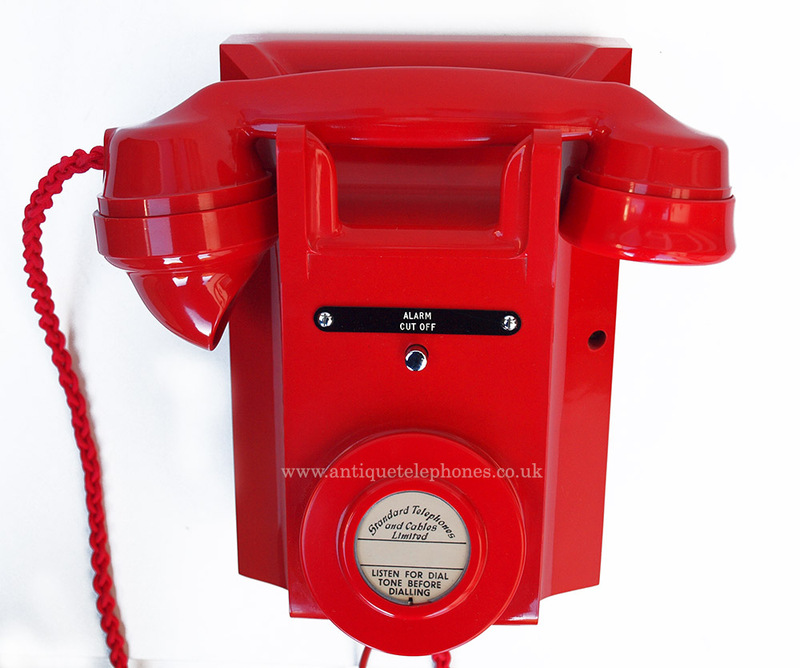 It is red Bakelite and not painted and as you can see is in fabulous condition. 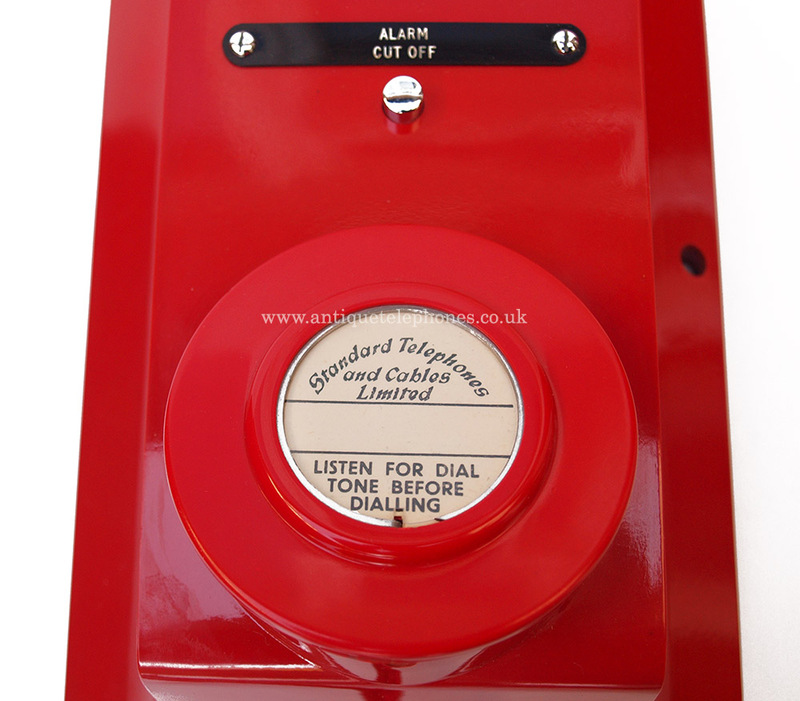 The oval in the handset is blank as is usual when not supplied to the GPO. 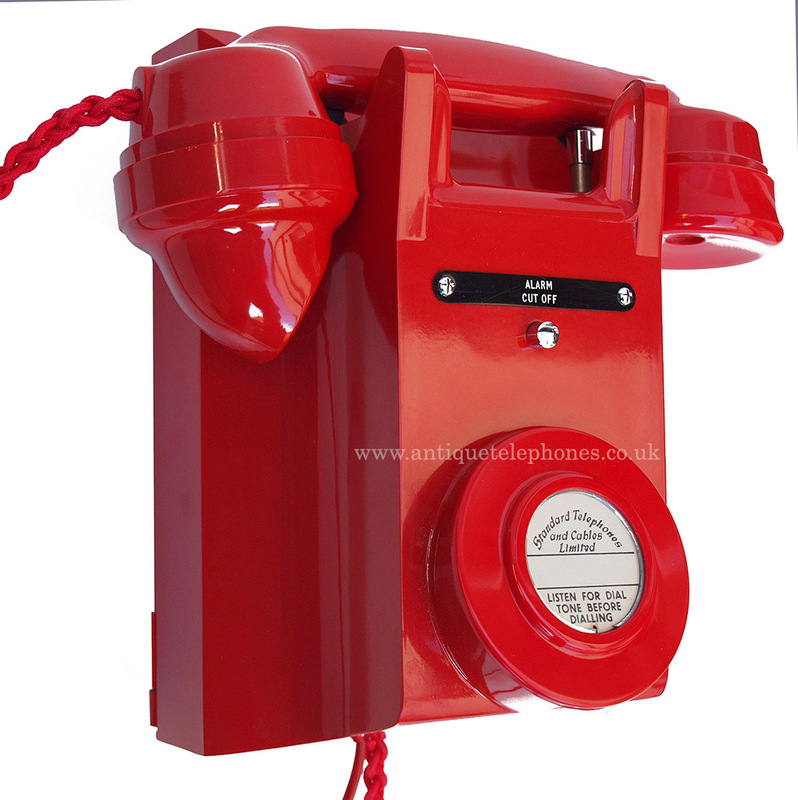 I have fitted it with a new best quality hand plaited braided handset cord and a GPO specification round plastic line in cord along with an electronic microphone to allow it to work perfectly. 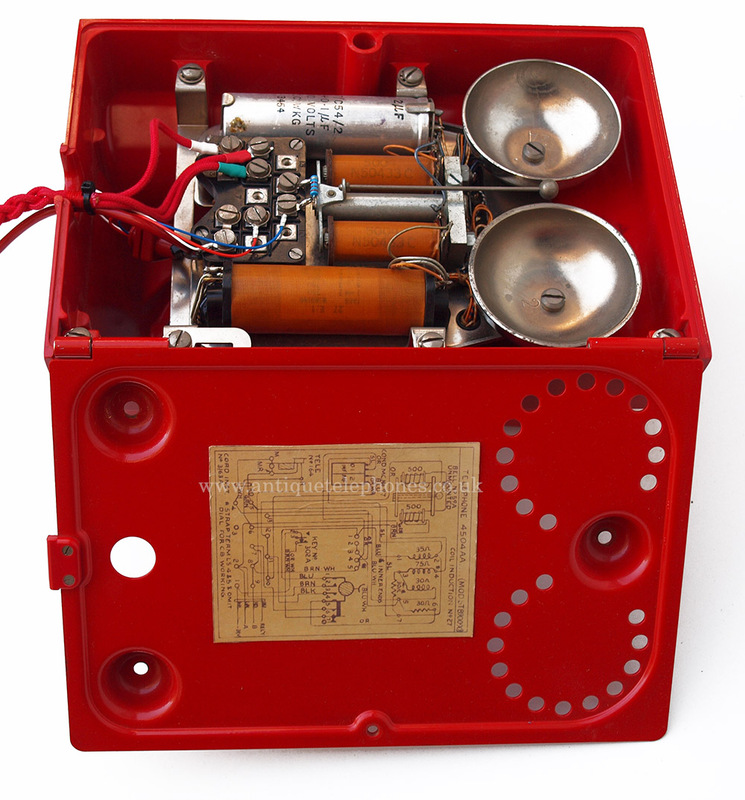 This is a very rare CB model with no dial and was almost certainly used as a fire telephone. 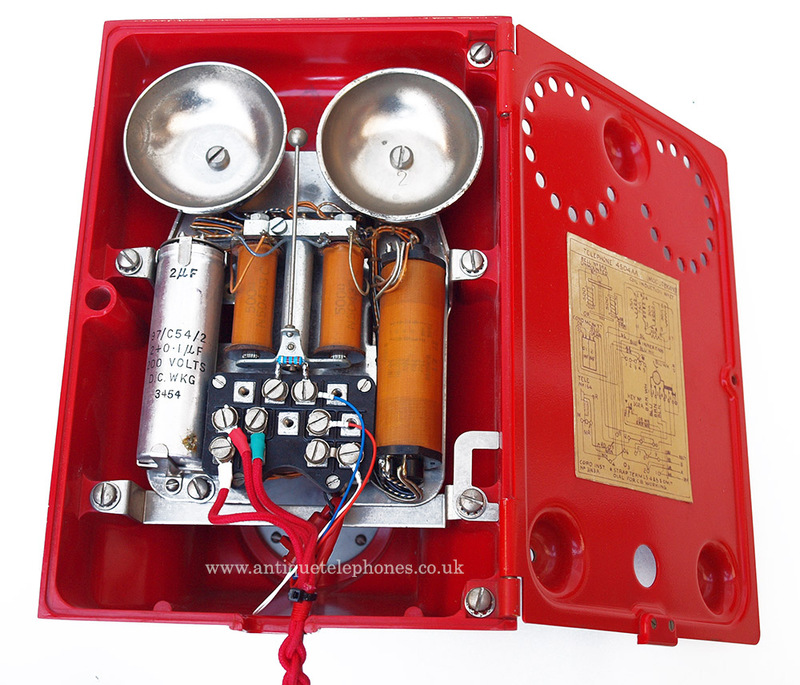 As you can see the button would have been used to stop the fire bell sounding. This was probably never used as this would have been its sole purpose in life and maybe got used for fire drills. This is a true collectors piece and I have never had one myself in 20 years of collecting and dealing. 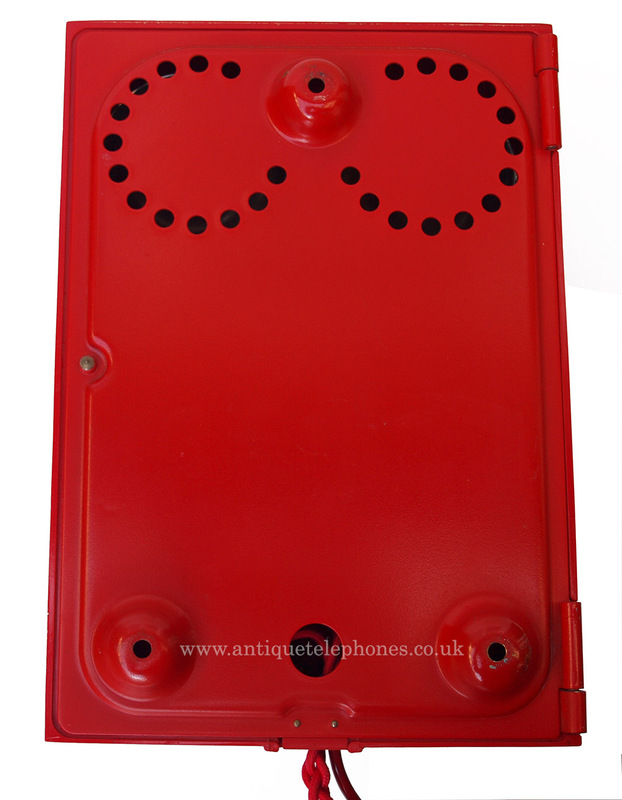 I have added the original handset cord and microphone marked E55. 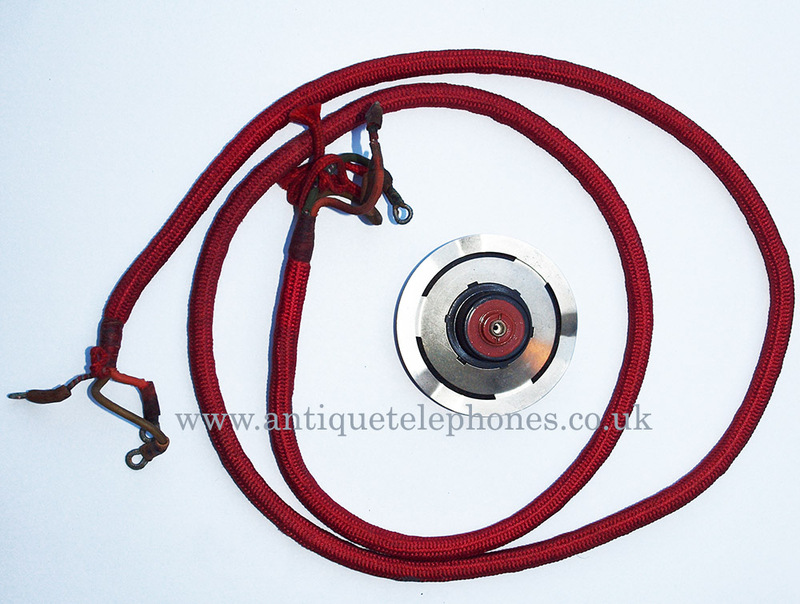 The handset cord is in great condition but was changed due to the the rubber insulation deterioration but as a collectors telephone you may want to re fit.